Staying in a luxury tree house chalet in the middle of a private game reserve in South Africa sounds like a dream for many and it was one I recently got to experience at the nThambo Tree Camp. 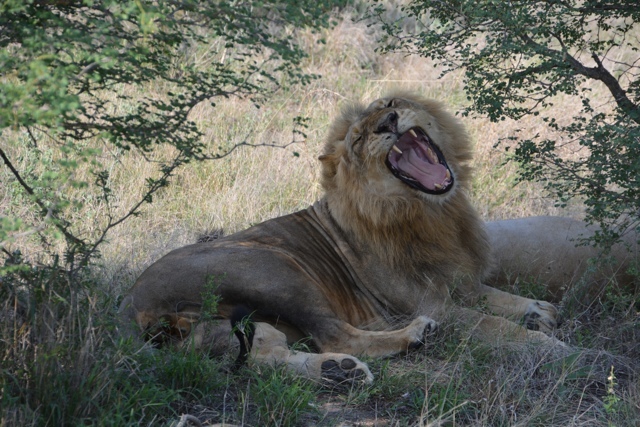 Located in the Klaserie Private Game Reserve part of Greater Kruger, nThambo is a six hour drive from Johannesburg. You can rent a car and drive yourself, take a short flight to the Hoedspruit airport or take a shuttle bus like I did from a company like Ashton’s Transfers who pick you up right from O.R. Tambo. 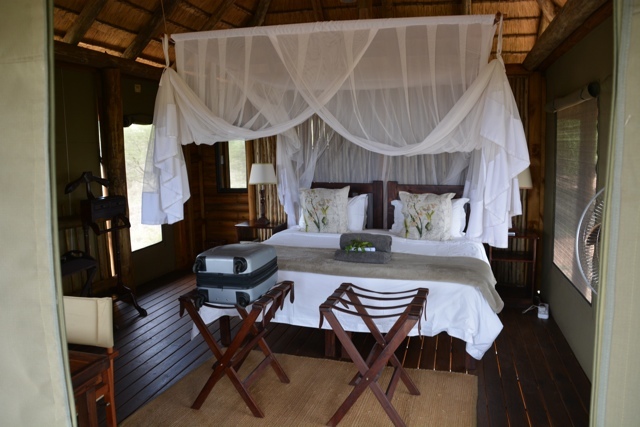 The nThambo Tree Camp has only five tree house chalets on its property which sleep two people each. Since the property is not fenced in to keep the animals away the Tree Houses have gates at the top of their steps to help keep away any “unwanted guests”. Three walls of the tree house are made from tent material that breath in and out in the night air. Since the walls are made of tent material and there are no fences, lets just say I was slightly scared staying by myself the first night, while convincing myself that every noise I heard was a lion about to rip the canvas door open. Waking up in the morning with no animal intruders I knew I was worried for nothing and I slept like a baby the next night. They also provide each room with an air horn to use incase something crazy happens and thankfully it was not needed. 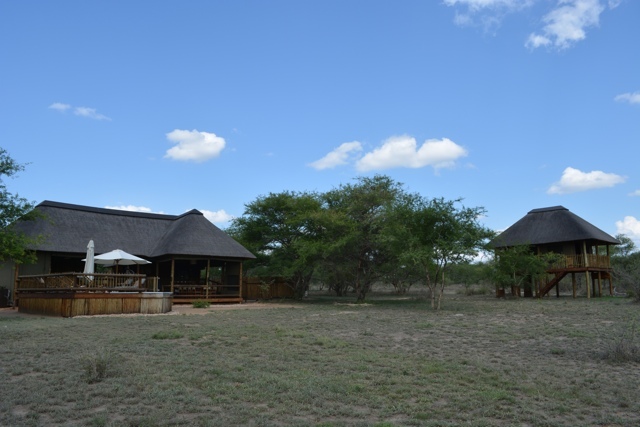 Each chalet is solar powered and has a double bed surrounded by a protective bug net at night as well as a full bathroom and a small deck to enjoy the view overlooking the game reserve and the Drakensberg mountains in the distance. While staying there for three days and two nights I met a few others from Sweden, the US and UK. Being such a small property with a communal dining table and going on safaris together it was really easy to make friends and you could retreat to your room for peace if needed. 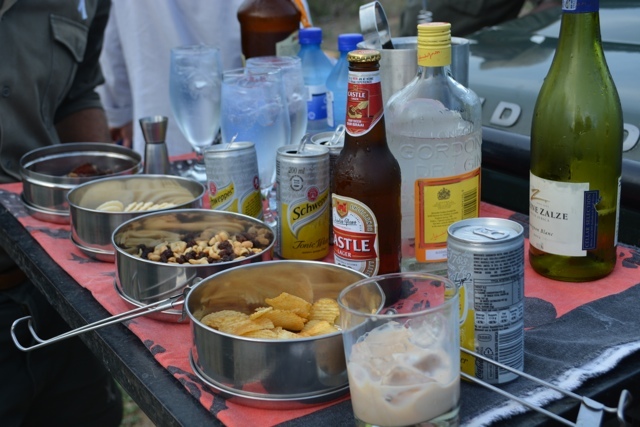 Each day there are two game drives, one in the morning and one in afternoon and they bring along drinks and snacks to enjoy. Back at the main building they serve three delicious meals a day and there is a bar that never seems to close. On the game drives at nThambo you can see everything from elephants to lions, rhinos, giraffe, vultures, hippos, warthogs and wild dogs. If you are lucky you might even see a flash of fur from a passing leopard or cheetah. While I was there I was lucky as I got to see six lions feasting on five buffalo that they had just killed days before. What made it even better was that the grotesque smell of the rotting buffalo brought even more lions to the area. It was horrible to smell but worth it to see all of the lions. Previous to this I had only ever seen one female lion on a game drive and now we were getting up close to females, cubs and males with gorgeous huge manes on every drive we took. The property also features a traditional boma gathering place that you can hang out at night enjoying drinks around the fire and if you are lucky a traditional African BBQ known as a braai. 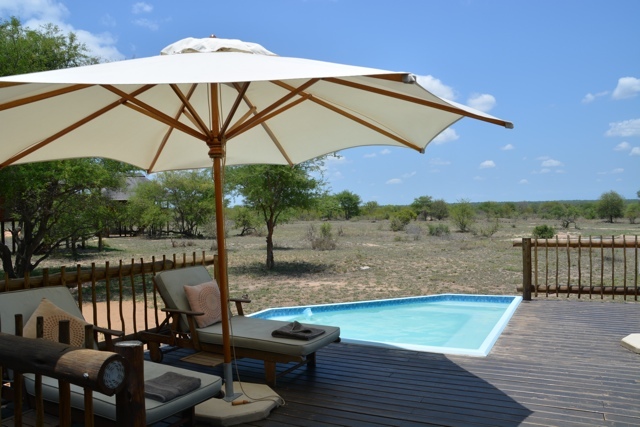 During the day there is also a nice sun deck to lay out on and small plunge pool to cool off in and I was told it is often frequented by thirsty elephants, however I only saw warthogs and an impala or two near the property the whole time I was there. 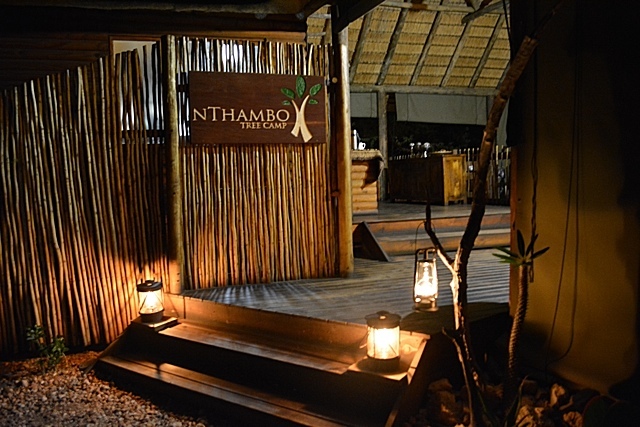 nThambo is a unique experience and a great place to stay but it wouldn’t be as great of a place as it is if it wasn’t for the staff that live and work there. Kelley who manages the property with her partner Chad who is also a guide along, with Kevin another great guide and one of the best trackers ever Enoch. They made everyone feel very welcome, looked after us well and gave us an amazing time. To see and learn more about my stay at the nThambo Tree Camp watch my newest video. Would you like to stay in a tree house in the middle of the wild South Africa with lions at your doorstep? Special thanks to nThambo and Sun Destinations. As always all opinions and views expressed are my own. Wow! Looks great. I love that photo of the lion. I’m going to have to try to get myself there next time I’m down that way. Awwww, I really miss Africa. hahaha not at all – they were everywhere! Each night I had one living in my bathroom but they mysteriously disappeared by day light. What a cool experience Cailin. It looks like the perfect place to experience a safari in Africa. 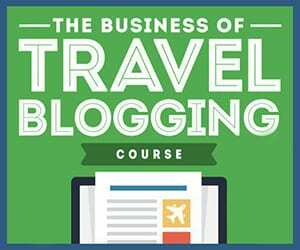 Will be keeping this in mind for my future travels. Great video too! Thanks Jen! It was definitely a great place and well priced too! It will be worth the wait, you will love it! !